Make fascinating white-on-blue prints from natural or man-made materials. 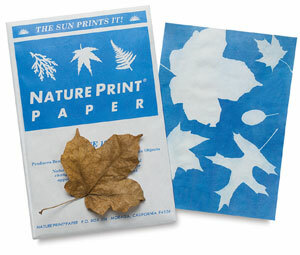 Place flat objects (leaves, flowers, insects, lace, jewelry) on the sensitive paper and expose to the sun. No inks, presses, photo equipment, darkroom or chemical processes needed.